HMD Global is now actively slashing prices of its handsets across the budget range in India. Nokia 7.1 has received a price cut in India. The smartphone was launched in the country in late November with a price tag of Rs. 19,999, however, it is now listed on the official Nokia eShop at just Rs. 17,999. This reflects a price cut of Rs. 2,000. The Flipkart listing of the Nokia 7.1 is also reflecting the revised pricing, however other e-retailers, such as Amazon, are yet to mention the new pricing. Nokia 7.1 came with Android Oreo, though it’s upgradable to Android 9.0 Pie. It has featured a 5.84-inch full-HD+ (1080×2280 pixels) PureDisplay panel with a 19:9 aspect ratio. The display panel also supports HDR10 and comes with Corning Gorilla Glass 3 protection. Under the hood, there is Snapdragon 636 SoC, coupled with 4GB of RAM. In the camera department, the Nokia 7.1 packs a dual rear camera setup that includes a 12-megapixel primary sensor with an f/1.8 lens and a 5-megapixel secondary sensor with an f/2.4 lens. The phone also comes with an 8-megapixel sensor at the front with an f/2.0 lens and 84-degree of field-of-view. The Nokia 7.1 features 64GB of onboard storage that is expandable via microSD card (up to 400GB). Connectivity options include 4G LTE, Wi-Fi 802.11ac, Bluetooth v5.0, GPS/ A-GPS, GLONASS, NFC, USB Type-C, and a 3.5mm headphone jack. Sensors on board include an accelerometer, ambient light sensor, electronic compass, gyroscope, proximity sensor, and a rear-mounted fingerprint sensor. The phone packs a 3,060mAh battery that supports 18W fast charging. 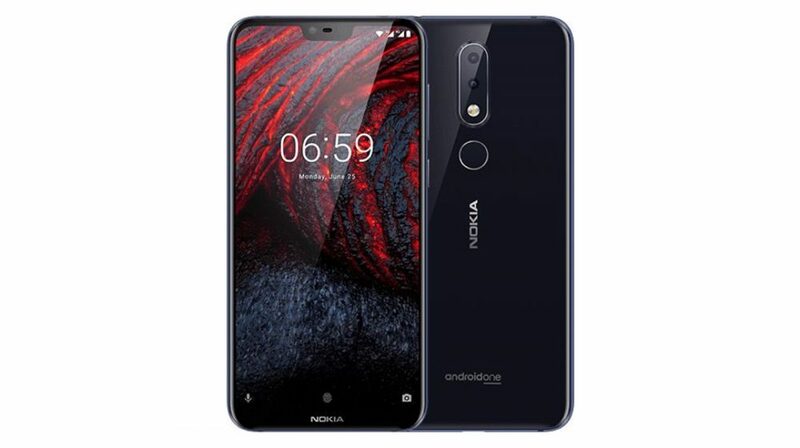 The Nokia 7.1 price cut comes after HMD Global slashed prices of its other affordable handsets including the Nokia 2.1, and Nokia 6.1 Plus (6GB RAM Variant) just last week. After the price drop, the Nokia 7.1 comes close to last year’s other budget handsets that sport the same processor.